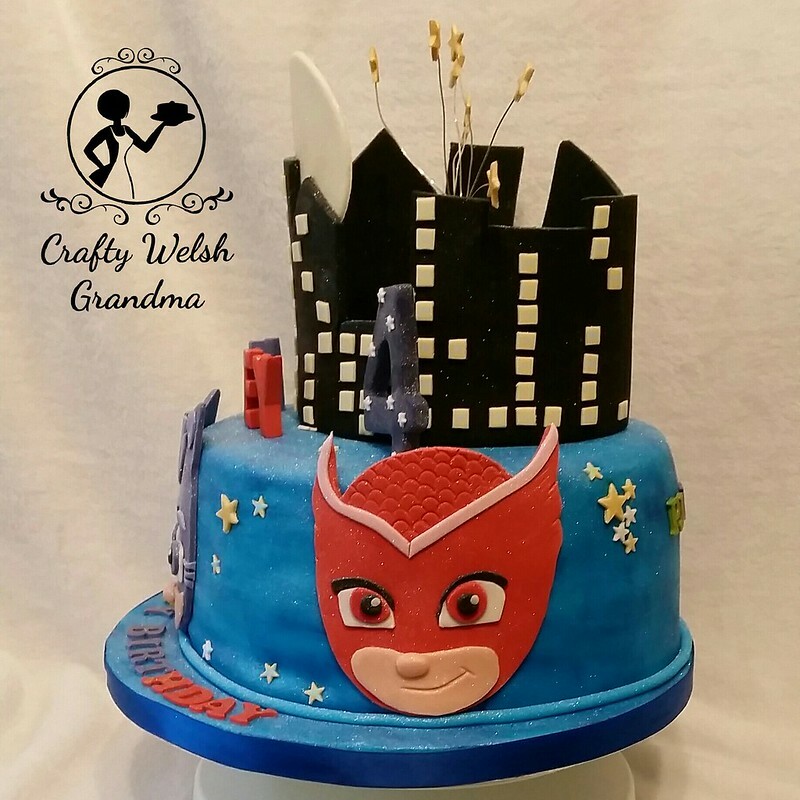 I researched as many PJ Masks cakes before I made this one for my Great Nephew. 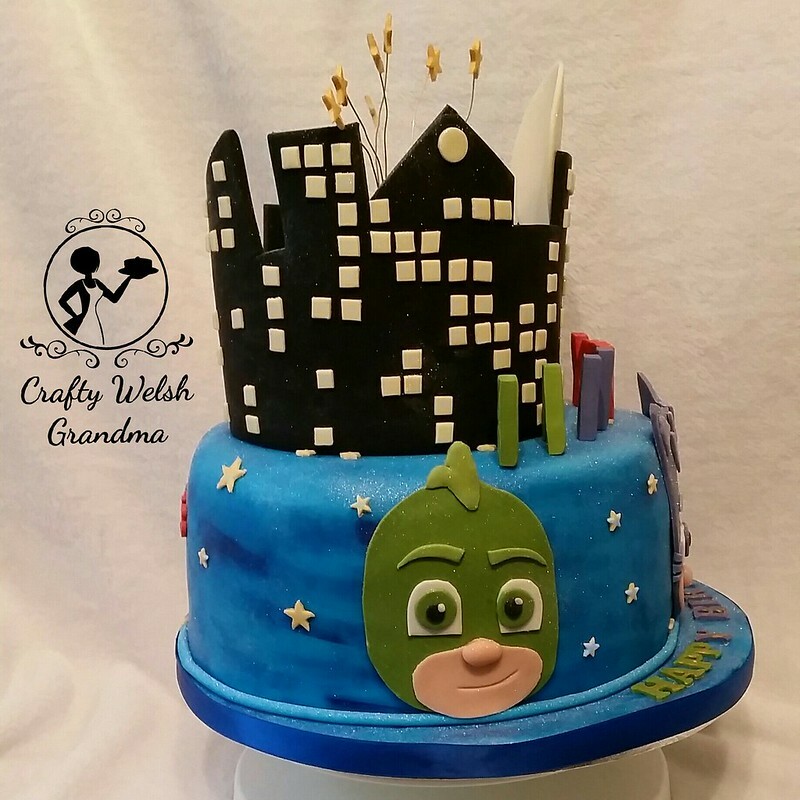 There was an obvious theme with the ones I found: All the cakes were a shade of blue, they all had a skyline with a moon and each of the three PJ Mask characters featured on the sides. So, It was my turn! 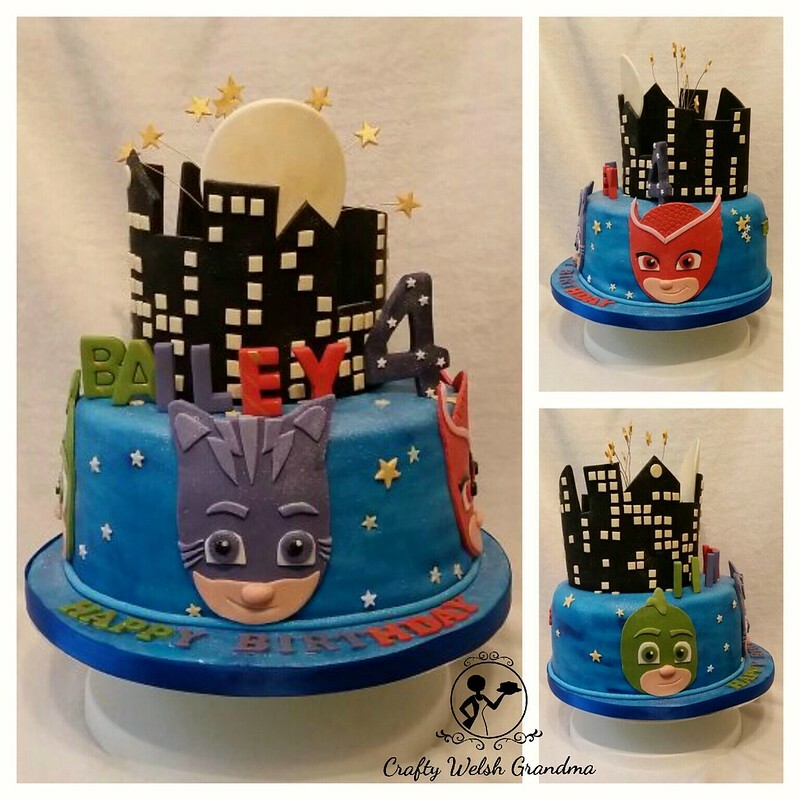 All the black, window-lit skylines I saw on other cakes were straight. I decided to do mine round. Which was not without its own issues. I used about 500g of black modelling paste, rolled it out to about 8mm thick, cut of the skyline and wrapped it around a six inch baking tin, covered in parchment paper. 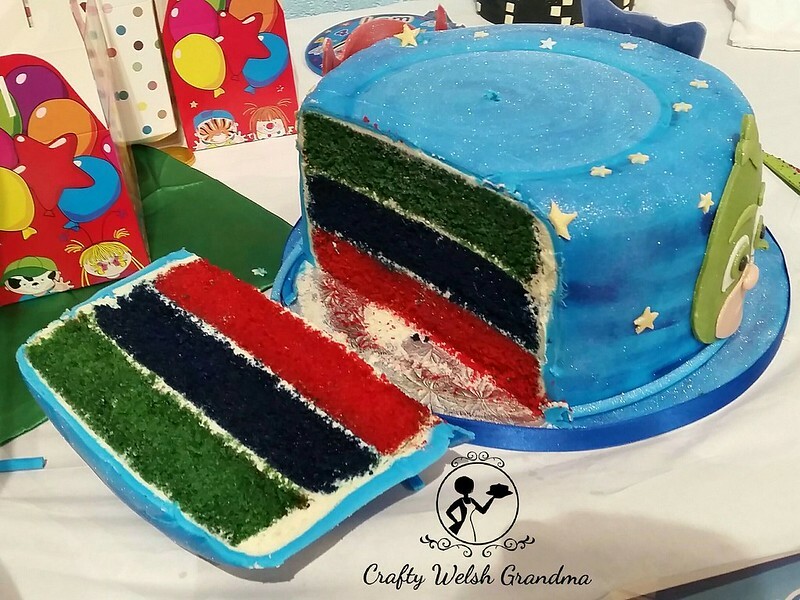 I used the six inch tin because my cake was a 10" one. 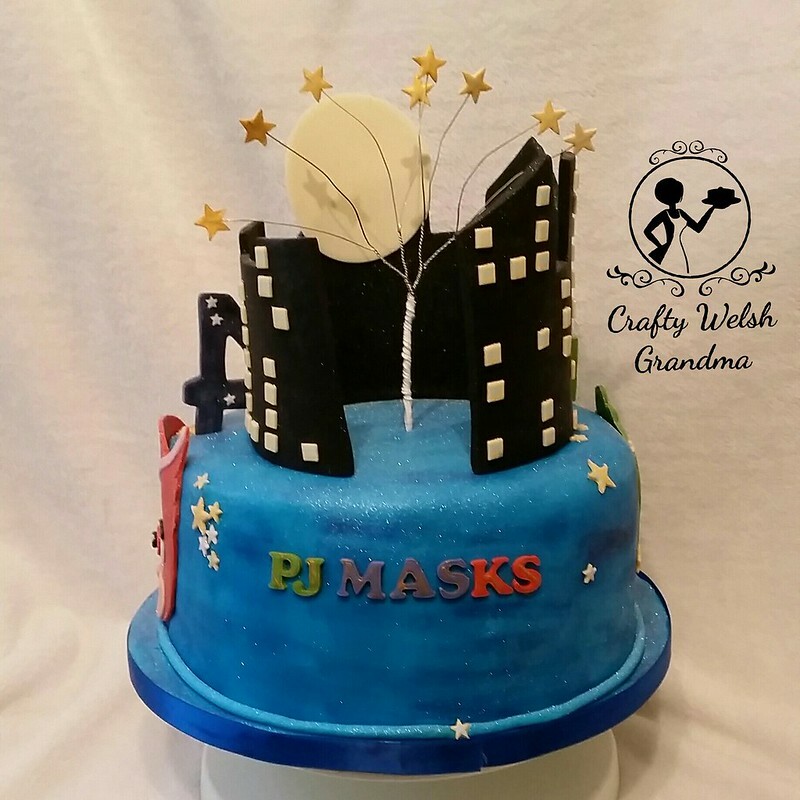 The moon was cut using a standard cookie cutter with the fondant covered in clingfilm first, this will give a nice edge as it will be on show. I keep promising myself that I will, one day, add to my varied collection of cutters with some basic shapes like squares. But, alas, not yet, so I cut the windows out individually. When will I learn? I made each of the character's faces myself, I have another blog entry to show how I did that here. The process was simple but fiddly and I think it could cross over to other characters too. I made some stars from modelling fondant, allowed them to dry a little bit before I inserted wire into them so I could make the star burst above the skyline. My daughter twisted them together for me so I could place it into the centre of the cake when I'm done decorating - They'll be the last to go in. 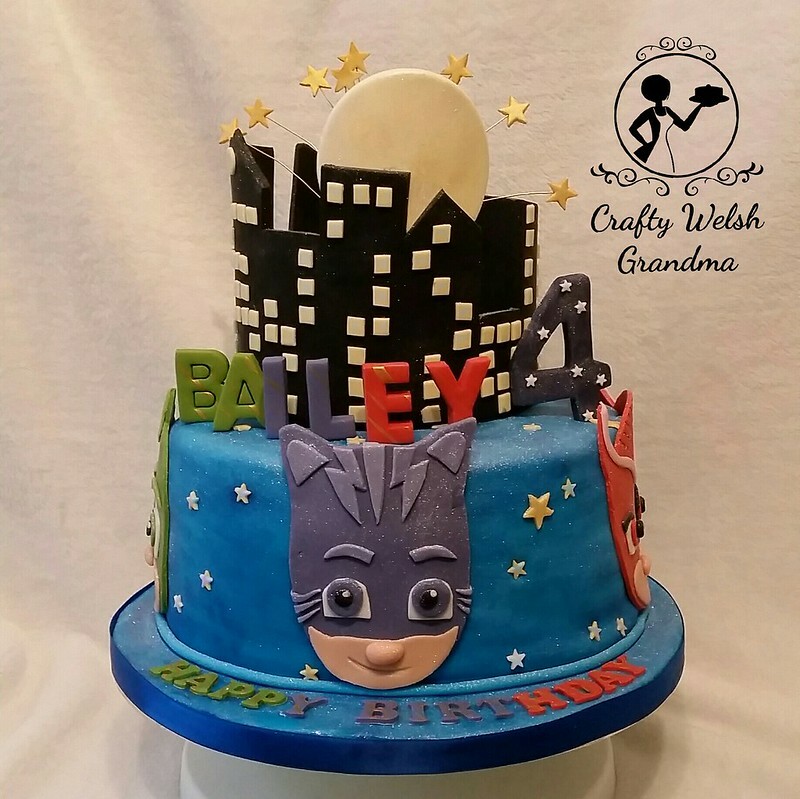 Before I added the character faces and stars, I dry brushed the cake with navy blue food colour gel to get a better finish rather than the flat colour of the fondant. Now, the backside of the cake is not pretty, but then, I've never seen a pretty backside on anything much, but I did add a little wording to distract from the cavernous hole left by the circle skyline piece. I'm not sure what I can do with this, maybe fill it with candy, I'm not sure. 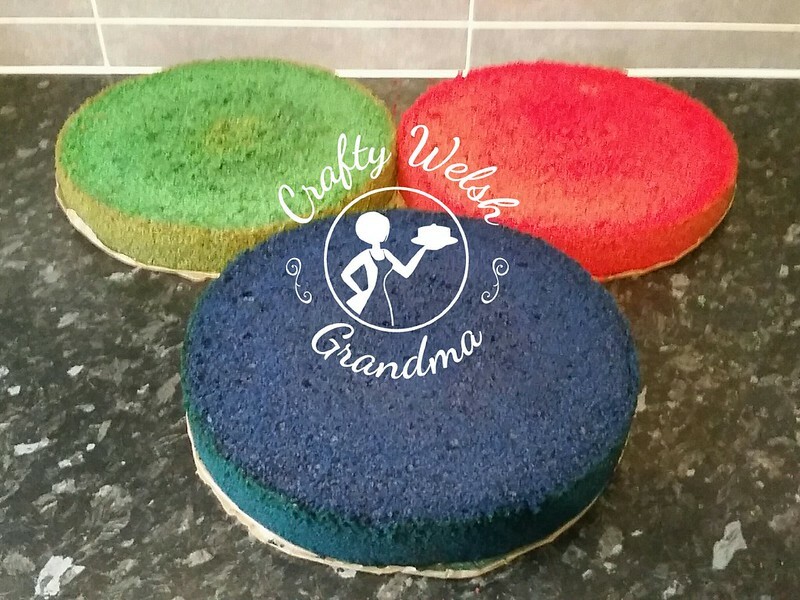 Sugarflair paste colours: Christmas Red, Holly Green and Navy Blue. Each layer a different colour. The image above shows each layer after being topped off, prior to its simply syrup and decaramelising process to take the sides off, the bottom is fine and will be used as the tops. The matching cupcakes can be found in another blog entry. Now all that's left for me to do is, get it to the venue in one piece because it's too tall for its box, even with lid risers!